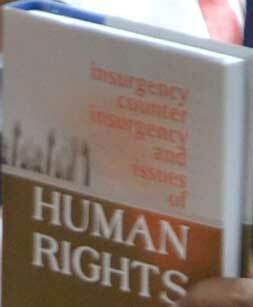 Guwahati, Mar 27 : Assam Police are the biggest violators of human rights in the state. According to a written reply by forest and environment minister Rockybul Hussain on behalf of home minister and chief minister Tarun Gogoi in the house on Monday, of the 94 cases in which the state human rights commission has issued orders, 46 are against the Assam Police. The minister stated in his reply that 6,734 complaints of human rights violation have been settled so far and another 713 cases are pending. "To expedite the settlement of the remaining cases of rights violation, the commission is has been issuing summons from time to time," the minister stated. The most gruesome of human rights violation committed by Assam Police is the blinding of one Anil Roy by a constable in Basistha police station in the city. The commission has issued an order to commissioner and secretary of home and political department to pay Rs 5 lakh to Roy. There is also recommendation to senior superintendent of police in the city to reprimand one sub-inspector Ajay Medhi for not registering an FIR. According to the minister's reply, the commission has recommended action against 135 government officials so far. The minister's reply however had details of just 94 of these recommendations. The recommendations ordered by the commission against the Assam Police are disciplinary action against erring police officials and payment of compensation. The highest compensation recommended by the commission is to health and family welfare department to pay Rs 10 lakh to one Souvik Shome and realization of the entire amount from the guilty professor of gynecology department Guwahati Medical College and Hospital. There are several recommendations by the commission to the Assam State Electricity Board (ASEB), pollution control board, Of the 94 cases in which the state human rights commission has issued orders, 46 are against the Assam Police.